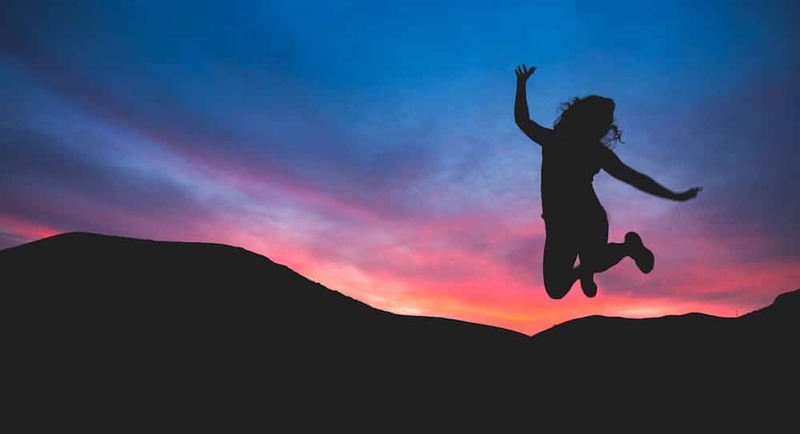 Each month at Balanced Achievement, we will explore individual personal qualities that are regularly exhibited by the world’s most successful, happy, and fulfilled individuals. In this on-going series, called “The ABCs of Personal Qualities,” we will provide definitive reasoning to help you understand why each quality is important. We will also provide you with 3 unique ways to help you develop these qualities in yourself. This week, we look at the personal quality of Acceptance. There are many ways that you could define the word Acceptance. Here at Balanced Achievement, we like to define the personal quality of acceptance as: Being completely content with your current situation, your physical features, your material possessions, you career, and your relationships. You joyously accept things as they are and know that being here is enough. Even if you plan for better things in the future, you accept where you are today and remain appreciative of the gifts that you have. You accept both your good and bad qualities with nothing but loving-kindness. You completely accept yourself, your past, others, your situation, and the world as a whole without desiring to change it. On the deepest levels of our beings we all have the same goal: To find happiness and fulfillment. While we try to accomplish this desire through different means, all of our actions are done to bring more joy and bliss into our lives. One of the most important qualities to develop, in order to reach the levels of fulfillment you deserve, is acceptance. If you are unwilling to happily accept your situation, your life, your relationships, your physical features, and your current mental state, then you relinquish your basic human right to be happy. Through acceptance we can settle into the present moment, find contentment with everything that we have, and enjoy higher levels of life satisfaction. Happiness is 100% a by-product of Acceptance and since everyone’s deepest goal is to find happiness, the first step to finding the fulfillment you desire starts with the development of Acceptance. The correlation between acceptance and happiness can easily be seen by comparing two individuals who find themselves in extremely different circumstances. We can bring the truth of the quality’s importance by looking at two hypothetical, but very real, life situations. One of the individuals that we look at is a wealthy CEO of a high profiled American business who hasn’t found acceptance in his life. The other is a poor mother in an Indian slum who lives each day with acceptance. The wealthy CEO is constantly pushing for higher levels of success, more money, and increased status, yet deep within himself he never finds the levels of fulfillment that he is seeking. He refuses to accept his past mistakes, failed business deals, and focuses only on pushing himself to ‘be the best’ in the eyes of other. The mother in India, however, finds happiness by accepting her situation as it is. She finds joy each day by spending time with her children, husband, and friends, and while she doesn’t have millions of dollars, designer clothes, or luxurious material goods, she does have love and complete acceptance for herself and her situation. She is happy because she is content and accepts her life situation. While on the surface, it is easy to say that the CEO is living a better life, the reality of the situation is that what we truly want is happiness, which the poor mother has. For this reason, even though she doesn’t have the flashy life style, she does experience higher levels of happiness, which is what is truly important. Realize that Nothing Lasts Forever: The outer materials, relationships, and status that we try so hard to acquire in the western world are not the ways to accomplish your ultimate goal of fulfillment. We often get hung up on our successes and failures in the outer world, but in reality these events lack importance. These things are in a state of constant change and will eventually disappear from our lives. Our negative internal mental states are also of the impermanent nature and eventually will change into something else. Focus on deeply accepting this fact and your desire to control situations, dictate people, and influence outcomes will wilt away. Be Content with the Process of Improvement: We all want more in life. If you are reading this site you obviously want better things for your future. One thing that you can do to increase your acceptance, and happiness, is to find contentment with the process of achieving. You need to remind yourself that improvement is a process and you are well on your way to success. Just knowing that you are working towards something should be enough in and of itself. Don’t let your levels of acceptance, and fulfillment, be determined by the achievement of your goals. Focus on Gratitude: Individuals, especially in western countries, all to often focus on the things that they don’t have. They think about how a new computer, relationship, job, or group of friends will make their lives that much better. However, when they obtain these things, their minds already are thinking about newer and different means to increase their fulfillment. Instead of constantly chasing success and happiness, celebrate what you have in your life. Realistically, being able to breath in fresh air each day is enough, but there are endless amounts of things that we take for granted. Your family, your health, the food on your table, your job, your friends, and nature are just a few of the things that we consistently take for granted. Ask yourself each and everyday, ‘What am I grateful for?’ listen to the answers from your heart and watch how your acceptance for life, and your happiness, blossom. To bring more joy, abundance, happiness, and bliss into your life, you need to understand that acceptance is a prerequisite of these positive qualities. Each and everyday make a point to find gratitude, recognize impermanence, and relish in the joy that comes from improving yourself on a daily basis. This is enough to increase the levels of acceptance that you life with, and in turn increase the levels of happiness and fulfillment you have.